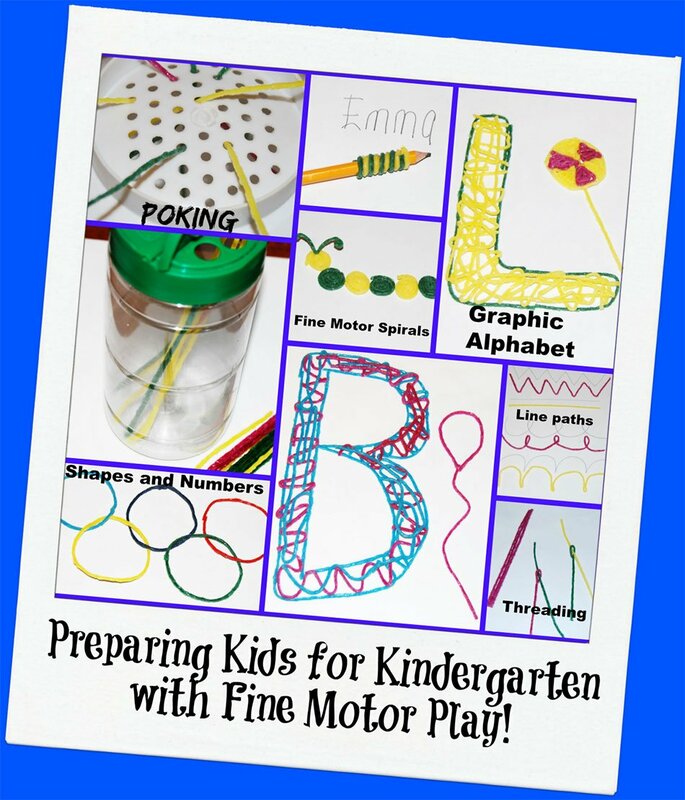 Preparing for Kindergarten with Fine Motor Play Ideas! Young kids need plenty of practice and play to encourage fine motor skills before they are formally introduced to writing. With Wikki Stix and a little imagination, kids can play and create while developing the fine motor strength and control necessary to properly hold a pencil. Wikki Stix are wax-infused yarn sticks that never dry out. They can be re-used over and over throughout the summer to create playful opportunities to enhance fine motor skills before Kindergarten begins! Gather your Wikki Stix, a few simple supplies, and try the fine motor game suggestions to invite your kids to play! Inviting kids to poke Wikki Stix through various size holes will help kid encourage fine motor control. Assorted Containers with holes (parmesan cheese containers and strainers of various sizes work well). Extension Activity: place tape over some of the holes so the kids explore what holes work to poke/push the Wikki Stix through. 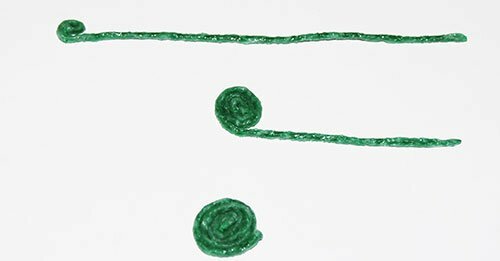 Have the kids make shapes that resembles a needle from one strand of Wikki Stix by folding one end over to make a small oval. 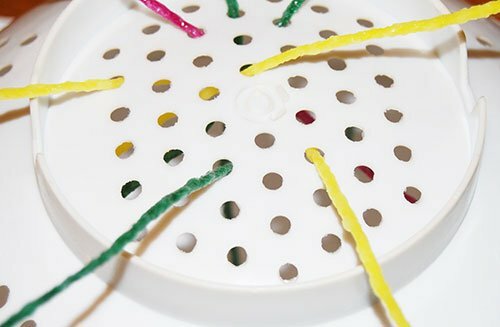 Set all of the created needles out on a table or a large tray along with additional Wikki Stix. 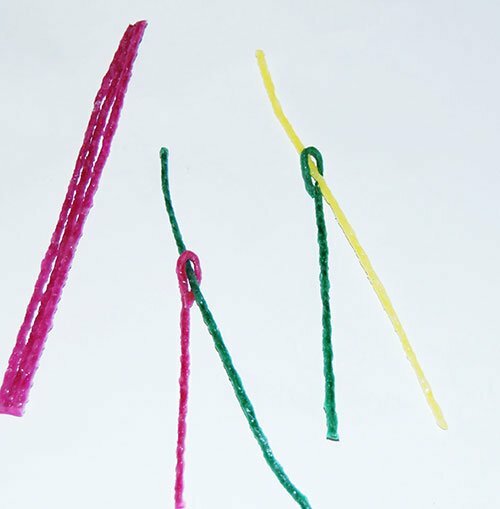 Invite the kids to thread Wikki Stix through the created Wikki Stix needle (see photo). 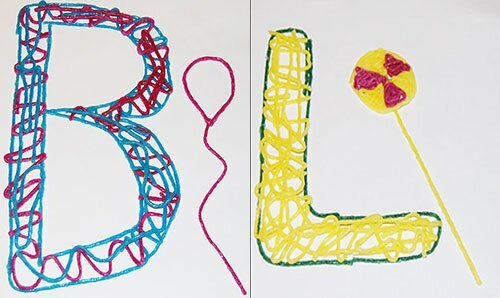 Invite kids to use Wikki Stix to create large letter formations. There is no wrong or right way to create and kids will learn basic letter shapes while creating. Show the children any letter and invite them to create the letter with Wikki Stix. The creations will be unique to each child and are a wonderful way to encourage kids to explore letter formations before formal writing. Learning how to create basic spirals (pinwheels) with Wikki Stix is a great way to enhance fine motor skills, left to right directionality, and create a multitude of learning activities for summer practice. Lay one Wikki Stix out on a table or a large tray. Starting on the left end, fold the end over and toward the right. Continue rolling the Wikki Stix toward the right end until a tight spiral is formed. 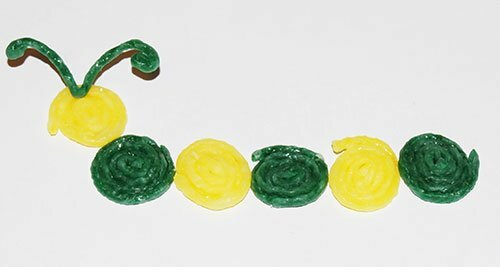 Kids can create simple caterpillars for patterning practice or ladybug math counters with Wikki Stix spirals. Creating line paths with Wikki Stix will encourage small muscle control while allowing hands-on opportunities for the kids to learn left to right directionality so important for writing and reading. 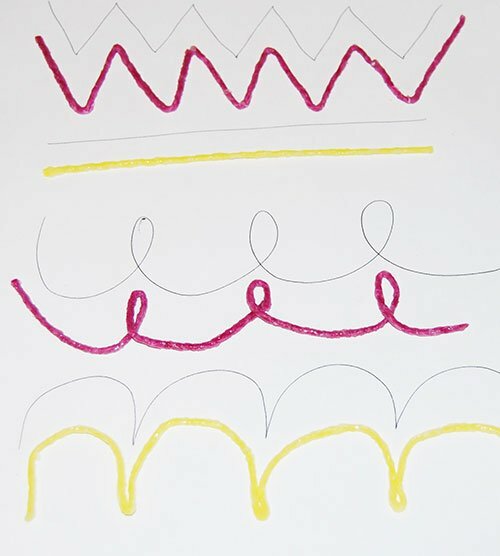 On a sheet of plain paper, make line path for the children to create with Wikki Stix. Some examples of line paths are: loops, curved, dotted, straight, squared, and humped. Invite kids to use Wikki Stix to trace over the line paths or copy the line paths on the paper. Wikki Stix is flexible for small fingers and will encourage hand and finger strength as the kids create. 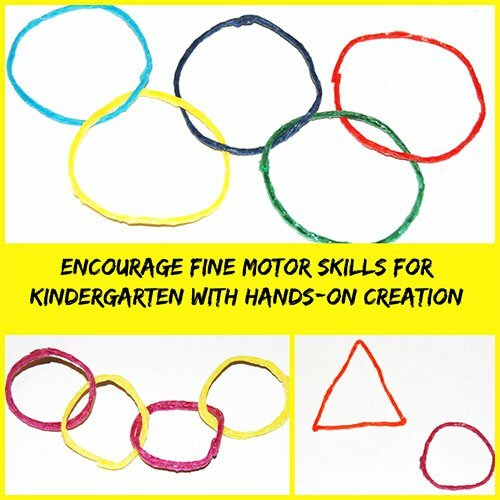 Learning to create basic shapes while building fine motor skills is EASY with Wikki Stix. Invite kids to create circles, triangles, squares, rectangles or other shapes they know with Wikki Stix. Kids can interlock basic shapes to form chains or even the Olympic circles. 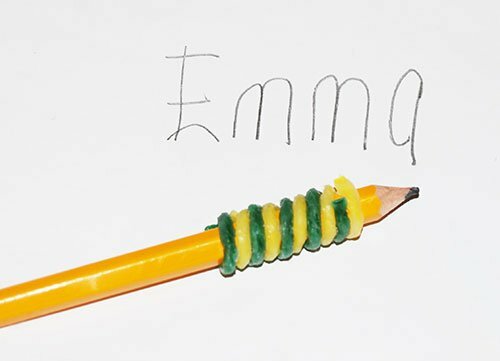 As kids play with Wikki Stix, they will develop the fine motor strength and control needed for formal writing. When kids are ready, use Wikki Stix to wrap a pencil to encourage proper pencil grip. 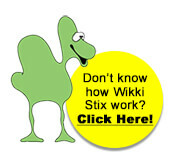 Wikki Stix is tacky and will help small fingers stay in place. With plenty of opportunities for hands-on play and fine motor practice, kids will gain the necessary skills for formal writing.